as the years advance, a one-day trip from the hebrides to the big city has become less amenable to the point where i no longer have the fortitude to undertake such a brief, yet hectic journey. if i point out that i departed the sunborn yacht hotels' 'sunseeker' moored adjacent to london's excel centre, just prior to 19:30 on friday eve and arrived home in bowmore at 15:45 the following day, it will give some idea of that which i discuss. i'm not attempting to gain sympathy by describing this infrequent plight, simply placing it in some sort of age perspective. enduring two hours on a ferry, four hours on a glasgow-bound bus, waiting around seven and a half hours for a coach to london and repeating the sequence the following day(s), no longer holds the same sense of intrepid adventure that was once the case. this time round, i took advantage of the premier inn's guaranteed good night's sleep and made it a two-day trip. however, extending my usual stay by a period of twenty-four hours was not without considerable benefits. for starters, i had the opportunity to experience the frank auerbach exhibition at the tate britain, followed by a long-overdue visit to rapha's imperial works in tileyard road. aside from the chance to view as yet unreleased products, all of which i could tell you about, but then i'd have to shoot you afterwards, i have a great number of friends at rapha, some of whom i have known for nigh-on ten years and one particular friendship that has lasted twelve years. ceo, simon mottram and i were first introduced when i called to find out from where the progenitors of the sportwool jersey had suddenly appeared. though brand new to the uk market in july of 2004, simon told me that he'd received a message from a gent who claimed to have been a long-time fan of rapha and was most pleased to see their clothing available in britain. yes, that's what we thought too. those halcyon days of yore are now approaching some twelve years distance, with rapha having reported a 37 percent increase in their annual turnover for 2015. that must have been very welcome news, but was the increase expected? "We have grown by more than 30% each year since we launched. It gets harder as the business and numbers get bigger, but that was the plan." not being one particularly enamoured with numbers, nor one given to so-called digital banking, my principal means of checking how much or little money i have is to look at the balance displayed on the auto-teller outside my local branch. though that number is mostly weighted towards the disappointing end of the scale, basically i'm not the most astute when it comes to tracking incomings and outgoings with a view to maximising their intrinsic benefit to yours truly. 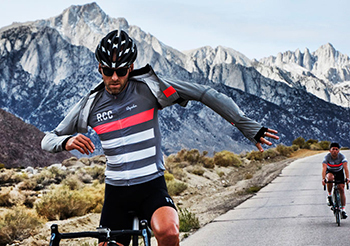 in the case of a now multi-national cycle clothing company still keenly intent on expanding in strategic fashion, where the money comes from and where it's going are very much of daily interest. 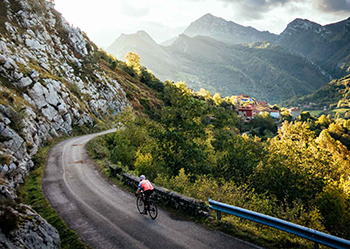 in the light of rapha's increasing turnover, is simon able to attribute growing sales to any specific strategy or is it as a result of a combination of things? "It's a combination of things: Strong international growth, especially in Asia Pacific. The UK business still growing surprisingly well, despite our (already) strong base there. Rolling out our physical cycle clubs, which add to our sales rather than cannibalising the web sales. Our growing product range, with more products for hotter weather and an expanded pro team range on the back of Sky and Wiggins." thankfully, for the sanity of both myself and the business world at large, i do not run an international company of any description. i scarcely have a five minute plan as opposed to a five year version and i find the business news on radio four's today programme totally inscrutable. i have a better understanding of the principles behind the discovery of gravity waves than of the nikkei index. building a successful company such as that based at imperial works means having the ability to observe and comprehend market trends and acting accordingly. these conceivably vary from country to country, with some international markets obviously larger than others. 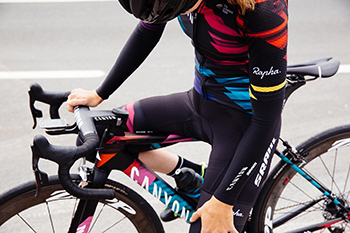 take the usa for example; potentially there are still many north american cyclists who have yet to be made aware of rapha's substantial range of apparel. this has brought rumours of reverting to online sales only, dispensing with existing retail partners other than the rapha branded cycle clubs. is that the plan? "Absolutely. As of 31 January this year, we are 100% direct-to-consumer all over the world. That has been our plan for quite some time." an online sales operation does mean, however, that if the jersey or shorts you bought yesterday don't quite meet with expectations, there's no poor unfortunate salesperson to shout at in person. and though i'm far from suggesting that rapha engenders any untoward adverse customer reaction in any parts of the world, this method of sales places greater reliance on continually improving their customer service. to be honest, rapha are justifiably renowned for their customer interaction. though i have had cause to be more than grateful to their impressive ministrations myself, i have also received many unsolicited testimonials that would suggest there are few, if any, holes in their ability to keep the customer satisfied. does the move to online only place greater emphasis on even better customer service? 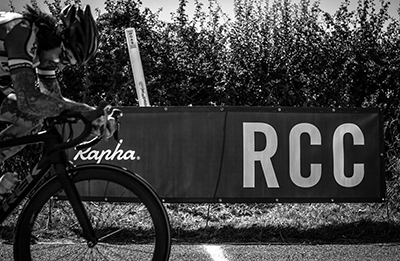 "Everything Rapha does, from products to rides and events and content, comes from a love of the sport. We share that love with our customers and so we have always wanted to have direct relationships with them. These are built on great service and the direct relationships place the right importance on service and provide the right discipline for us. It's core to our business." 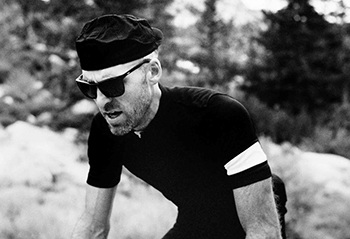 rather famously, rapha have rarely relied on press advertising to spread the word. 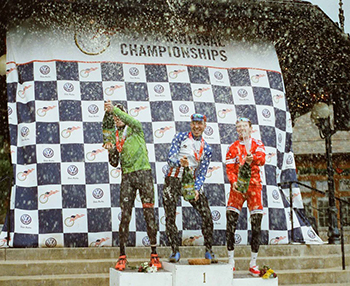 instead, and aside from sponsoring specific events, such as the supercross series in the uk, there has been the very successful rapha continental with its attendant photography and videos, the highly-renowned rapha condor race team and a foray into individual sponsorship with usa national cyclocross champion, jeremy powers. and then there was team sky, a notably expensive undertaking but one that was bound to bring marketing benefits through the team's successes at the tour de france. however, sponsorship that works only in one direction is perhaps not the ideal scenario. 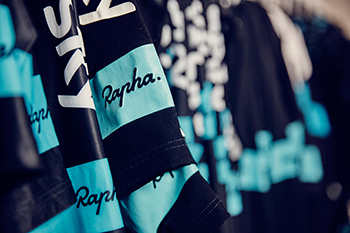 rapha have now announced the finish of the team sky partnership at the end of this year. has working with the team proved beneficial from a technical point of view? "It's been a successful partnership from a number of points of view: awareness, performance legitimacy, story telling. More than anything, the partnership has taught us a great deal about the technical demands of racing and the needs of the world's best racers. We have done a lot of R&D and wind tunnel work in the last year that is now feeding into 2016 products." 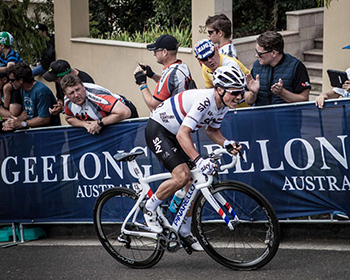 cycle racing at world tour level undoubtedly brings its own demands, not only on the riders, the bikes and the support teams but, as simon states above, the technical advancement of performance apparel. does he think that the technical aspects of cycle clothing still have plenty of headroom left to explore? "Absolutely. There are still many ways to gain a few watts. But I think the bigger opportunities might be around comfort, visibility and protection, rather than just speed. We are actively pursuing those avenues." but let's briefly return to rapha's sales strategy. 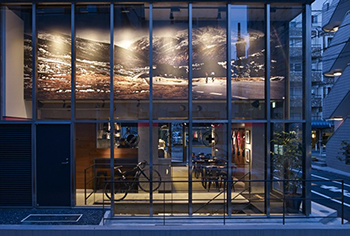 despite the shift to an online-only shopfront, the cycle clubs seem to have moved on considerably from their early pop-up status, becoming a more permanent part of the rapha firmament, offering visitors and club members not only an impressive double-espresso, but the opportunity to see the clothing range at first hand. as an unapologetically parochial question, with cycle clubs established all over the world, does simon ever see the time when one might open in scotland? "Our business in Scotland is growing steadily, with big pockets of customers in Glasgow and Edinburgh. Once we have 200+ RCC members in one of those cities, I can see a cycle club following. It might take longer for one to open on Islay." looking back to rapha's beginnings in 2004, the original premises were in the eponymously titled imperial works, a former piano factory in north london's kentish town. on my first visit, aside from the pink sofa, there were only four folk working in what seemed a generously proportioned office. in the move to tileyard road to accommodate an ever growing complement of staff, the name imperial works came along for the ride. the current premises are home to a staff of around eighty, all beavering tirelessly in a large open plan space above a not insubstantial indoor cycle parking lot and a café serving weaponised espresso. i recall the days when i could phone imperial works and simon would answer the phone. those days are long gone, and improved financial results no doubt arrive with their own baggage. does he ever miss those days of innocence? "I miss being able to talk to everyone in the company across a single table! But growth brings so many more opportunities, like Team Sky, Sir Brad, the RCC, new product ranges and activities all over the world. I wouldn't want to go back." one of the aspects of the radio's daily business news that has completely escaped my understanding is the continual need to annually improve the corporate profit margin, allied to the despair and outcry when the declared profits fail to match analysts' predictions. i can easily comprehend the need to make a profit, but have certain misgivings over the necessity or practicality of increasing them year on year. simon mottram has long been a man to successfully base rapha's future strategies on carefully curated five-year plans. it's hard to argue with such methodology; there are several other cycle clothing purveyors who have been in business a lot longer than rapha, yet would struggle to match their performance. given his undeniable success in his chosen metièr, it surely wouldn't be out of order to ask what the future holds for rapha and, perhaps more importantly, simon mottram? "We are doing well, but there is so much more to do. 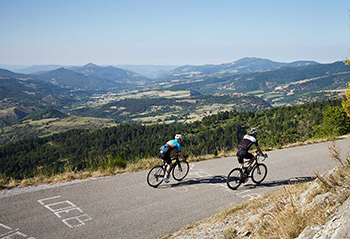 Cycling is big in the UK but is still a niche sport in many parts of the world. Far too few people realise how amazing a life on the bike can be. We need more of them to appreciate the cultural and social side of riding a bike and the incredible discovery and adventures it can lead to. "It's so much more than a form of exercise. We are so lucky to do what we do. 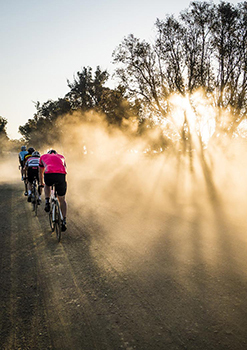 Through better products, stories, rides and events we want to show more people what is possible. And somehow we need to help the top level of the sport to find a way to engage all the active cyclists out there. 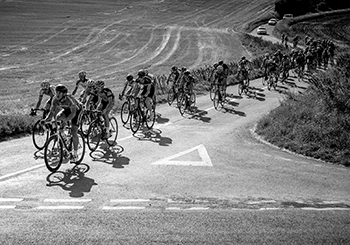 While there has been a boom in recreational riding, pro racing has been in the doldrums. It is commercially weak and I think it seems less and less relevant to regular riders. I still love it and care passionately about reconnecting it. "On a more personal note, I have just turned 50 years old and am enjoying putting together 50 meaningful rides with friends all over the world this year. One of them will be the third annual Manchester to London ride on 4 September. Any chance of Mr Palmer joining me for a long day trip to the south?" why would i say "no?" very many thanks to simon mottram and to my friends at imperial works for their hospitality and eye-popping espresso last thursday.